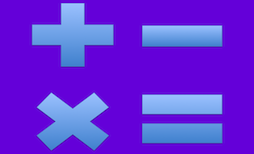 Funsheets 4 Math are math worksheets created for Middle School Math and Pre-Algebra students. Funsheets are unique, fun worksheets that integrate middle school math and Pre-Algebra skills with fun activities including sudoku, word finds, riddles, color patterns, crosswords, games, matching cards, etc. Although math worksheets are not the primary activity in the classroom, there is still value in practicing math skills with paper and pencil. These math worksheets are designed to provide variation in work assigned to students beyond the standard worksheet. Most funsheets also have a Standard worksheet counterpart. You may browse all the worksheets that are available to subscribers by clicking on each Math unit listed. It is suggested that teachers require students to show their work on a separate sheet of paper.